Looking For A Used Ford Focus Engine? Looking for a Ford Focus stripping for spares? There are specific causes you will need a used engine for your automobile. It’s possible you have experienced a car accident, the engine may have seized, a cylinder head gasket blown, or even much more issues. Our daily activities drastically depend upon our cars allowing us to effortlessly get to a job and furthermore return home once again, and that’s why it is advisable obtain an motor swiftly. This website will assist any person living in South Africa efficiently find an motor for his or her Ford Focus. We’ll assist you to quickly contact our circle of junk yards and Ford engine importers within South Africa, no matter what the make or model of your car. looking for a complete engine or a sub-assembly on a Ford Focus 1.6, 2009 year model in the Limpopo area. Alfred, 0799265452, looking Ford Focus ST, 2010, Pretoria, complete engine, petrol. There exists a massive circle of junk yards and motor importers. Now we have conducted most of the labor of finding the junk yards supply Ford Focus motors for sale within Sa. After you enquire with our company, your enquiry quickly goes out to each and every company listed with Engine Finder. This will save you the time of endeavoring to make contact with many different firms individually by yourself. This technique is regarded as a “shot gun” approach (inquire from several diverse companies that offer identical things. Whenever seeking out you own engine you’ll have to frequently perform some research or search through Gumtree ads and call each and every supplier by yourself. With our website, you’ll find the motor that’s required many km’s away, even when there were none local to you. By no means are the pricing inflated since you’re trading directly with all the salvage yards. Ford Focus motors for sale are offered from the junk yard, and you’ll buy it from that dealer. Not any further handling fees, therefore, the fee you are cited is the price you will spend. You shouldn’t alarmed when your cellphone out of the blue begins ringing non-stop, since all companies obtain your message simultaneously! By having multiple quotes, it is possible to make sure you get the best bargain in order to get the engine you need and get your vehicle restored. The usage of our service is a obvious as soon as you really comprehend how good linked we are with the engine companies found in Gauteng. Our company’s call agents are ready and waiting to take your phone call from Monday to Friday between 08h00 – 5pm. Or our website’s online enquiry form is ready At any hour! When you have made your request, you need to simply wait for estimates from our community of Ford Focus salvage yards. Do keep in mind we will not main support you in finding Ford Focus engines, we track down engines for many of the vehicle brands in SA. Save your time and cash by using our extensive network of businesses to find the motor you need without having driving all over the town on your own. looking for a complete second-hand engine for a Ford Focus, 2 liter engine, 2006 year model, he has the gearbox. I am looking for a 2.5 complete engine for a 2007 Ford Focus ST.
Quote on complete block and complete engine as well. I am looking for a complete engine for a Ford Focus, 2.5lit, 2007 model, ST.
Hai guys and girls i need a ecu for my car. Myne burnt a chip on the pc board so if anyone can help im in desperate need..
called looking for a complete engine. I need an engine for a 2 litre, 2013 Ford Focus GDI Sport, Engine code NGDBCT22451, I am situated in Bloemfontein, please call back with price and availability. I am looking for a block and crank for a Ford Focus, 2lit, 2007 model, C307038021. I am looking for a complete engine for a Ford Focus, 1.8, 2010 model. I am looking for a complete engine for a Ford Focus, 1.0, 2015 model. I am looking for a complete engine for a Ford Focus, 1.8, 2003 model. I am looking for complete engine for a Ford Focus, 1.6, 2007 model. Looking for a Ford Focus 2011 1800 engine replacement. Hi im looking for a c200 benz engine 2007 model and a ford focus 1.6 2010 model engines. Good day ,Am looking for ford focus st engine in gauteng. 2.5 L same as volvo T5 engine. I need an engine for my 2009 Ford Focus, 1.8 SI. Im urgenty looking for 2011 Ford Focus 2.0L GDI Duratec di tivct (160ps) Engine. I am looking for a complete engine for a Ford Focus 1.6, 2007 model. I need a 2.0 TDCI Complete engine for a 2009 Ford Focus. Looking for a Ford Focus 1.6 Petrol 2013 model. I'm looking for an engine model 1.6 vct trend ti..
Head gasket has blown and I am looking for a second hand engine. I need a 2 quotes please.One for a new complete engine and second quote for a second hand complete engine. Please can you also confirm if guarantee provided. I require an engine for a 2 liter TDCi, 2005 Ford Focus, I am situated in Margate, please call back with price and availability. Good day, I require an engine for a 2009 Ford Focus, 2.5, I am situated in the North West, please call back with price and availability. 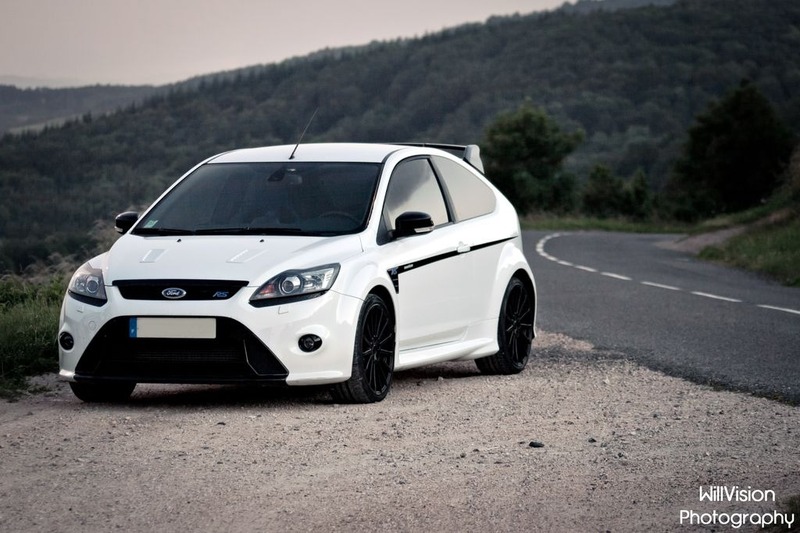 I am looking for a complete engine for a Ford Focus 2.5 ST Duratec. I am looking for a complete engine for a Ford Focus 2 lit TDCi, 2008 model. Hi, Need a price to purchase the above-mentioned engine. Looking for a reconditioned focus deisel engine 2006 model 2.0l . Call 0713995768 for more info. hi i would like to find out the price of the size engine provided above. I am considering engine overhaul but would like to compare which one is best, whether buying a new engine or rebuilding. I need the quotation for a full engine or sub. Hi, I am looking for the 2.5L Duratec Engine, 5 Cylinder, it is a Volvo Engine on the Focus ST. I think the Volvo code is B5254t5. Thank You.